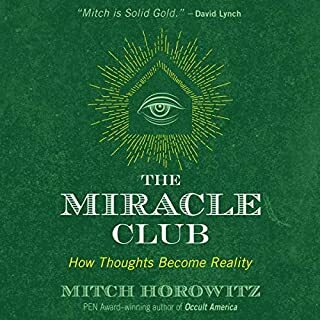 A guide to creating miracles in your own life through the power of thought. 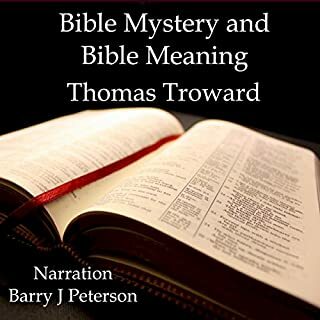 Thomas Troward (1847-1916) was an English author whose works influenced the New Thought Movement and mystic Christianity. Troward was a divisional judge in British-administered India. His avocation was the study of comparative religion. After his retirement from the judiciary in 1896, Troward set out to apply logic and a judicial weighing of evidence in the study of matters of cause and effect. I love this Authors work. An unprecedented collection of rare and life-changing classics from the pioneering author of The Power of Your Subconscious Mind. 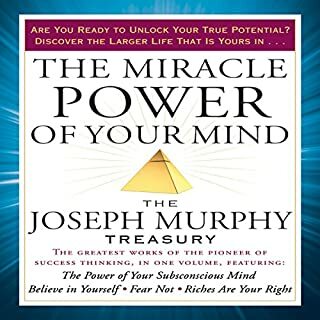 This new classic audio pulls together, in one convenient and inspiring compendium, some of the rarest and most extraordinary books by mind-power master Joseph Murphy. 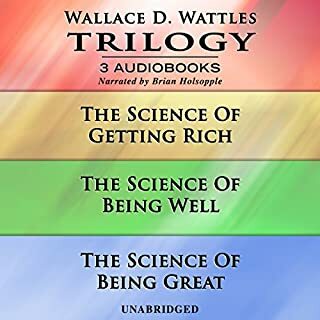 This audiobook trio includes The Science Of Getting Rich, The Science Of Being Well, and The Science Of Being Great. These timeless classics written over 100 years ago by Wallace D. Wattles are still relevant today and are being used by thousands of people to improve their lives. And now, it's even easier to take in the knowledge of these books just by listening in your spare time or on the go. Listen to these audiobooks and discover how to condition yourself to bring about the life you truly desire. This is a really inspiring book. It gets you focused on your dreams and goals with very simple to understand directions. We encourage everyone to read and apply the information with a spirit of enthusiasm and watch your life change! Many students of visionary mystic Neville Goddard consider Resurrection his greatest book. First published in 1966, just six years before the master's death, Resurrection contains five powerful, practical works that describe how to use the imaging powers of your mind to remake reality. But Resurrection offers much more - the closing essay, for which the anthology is named, is one of Neville's final and most ambitious works. The chief scientist at the Institute of Noetic Sciences (IONS) turns a critical eye toward such practices as telepathy, clairvoyance, precognition, and psychokinesis. Are such powers really possible? Science says yes. According to noted scientist and best-selling author of The Conscious Universe, Dean Radin, magic is a natural aspect of reality, and each of us can tap into this power with diligent practice. Using creative techniques, Holmes guides the student in easy-to-follow steps toward mastering the powers of the mind to find purpose in life. His explanations of how to pray and meditate, heal oneself spiritually, find self confidence, and express love have helped millions change their lives for the better. The Science of Mind is one of those spiritual classics that belongs on the bookshelf of anyone who wishes a life for themselves free of compulsion and negativity. Do you desire above all things to live a serene, useful, successful life? Do you want to get out of the petty limitations of conventionality? Out of pain and sin and sickness? Away from the small hurts of everyday living? Do you really want to get away from them? Are you willing to work out the salvation that is in you? Or would you rather sit still and grumble at the universe in general and everybody in particular? 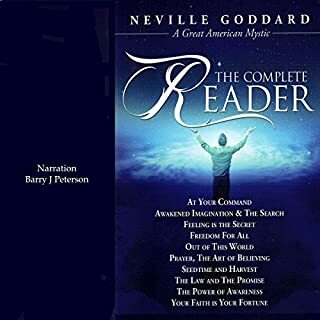 Neville Goddard was one of the most extraordinary and ardently practical spiritual thinkers of the past century. Writing and lecturing under the solitary name Neville, this modern mystic enthralled audiences with one simple, radical idea: the human imagination is God. Here is a new narration of Neville's final full-length book, The Law and the Promise, originally published in 1961. This is the mystic at the peak of his abilities, providing ideas and examples of how everyday people succeeded using his methods. Most of us still live by the motto, “No pain, no gain.” But this approach to life is actually a prescription for fear, frustration, and self-doubt. Much of what we learn about success is based on the pain/gain idea: in essence, work harder, be more persistent, and develop greater willpower. The New Psycho-Cybernetics formula is anything but painful. It will allow you to achieve all your goals, faster, easier, and with less strain than you ever thought possible. 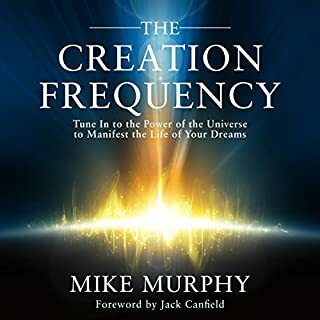 Here are the secrets to Mental Chemistry; in this audiobook you will learn how to improve your life by removing some kinds of thoughts and adding others. It works much like conventional chemistry; if you change the elements in a molecule you change the molecule. By changing elements of the way you think you will learn how to become a different, better, happier, and more successful you. This is one of the greatest books ever written on the creative power of thought. Inside you will find the secret of all power, all achievement and all attainment. Discover the key to the solution of every problem whether physical, financial, or environmental. The timeless principles enclosed herein will guide you toward absolute control of your thoughts, allowing you to create the life you desire. It has been passed down through the ages, highly coveted, hidden, lost, stolen, and bought for vast sums of money. Fragments of this Great Secret have been found in the oral traditions, in literature, in religions and philosophies throughout the centuries. In this audiobook you will discover the Secret, and you will learn how to have, do, or be anything you want. In Reality Unveiled, Ziad Masri takes you on a profound journey into the heart of existence, revealing a breathtaking, hidden reality that will transform your life forever. Far from offering simple platitudes and general principles, Reality Unveiled immerses you into this surprising world of ancient and modern knowledge - and presents you with all the incredible evidence to support it. The Audio version I had hoped for. Nature compels us all to move through life. We could not remain stationary however much we wished. Every right thinking person wants not merely to move through life like a sound-producing, perambulating plant, but to develop - to improve - and to continue the development mentally to the close of physical life. This development can occur only through the improvement of the quality of individual thought and the ideals, actions and conditions that arise as a consequence. Hence a study of the creative processes of thought and how to apply them is of supreme importance to each one of us. This knowledge is the means whereby the evolution of human life on earth may be hastened and uplifted in the process. Humanity ardently seeks "The Truth" and explores every avenue to it. In this process it has produced a special literature, which ranges the whole gamut of thought from the trivial to the sublime - up from divination, through all the philosophies, to the final lofty truth of "The Master Key". "The Master Key" is here given to the world as a means of tapping the great cosmic intelligence and attracting from it that which corresponds to the ambitions and aspirations of each listener. Every thing and institution we see around us, created by human agency, had to first exist as a thought in some human mind. Thought therefore is constructive. Human thought is the spiritual power of the cosmos operating through its creature man. "The Master Key" instructs the listener how to use that power, and use it both constructively and creatively. The things and conditions we desire to become realities we must first create in thought. 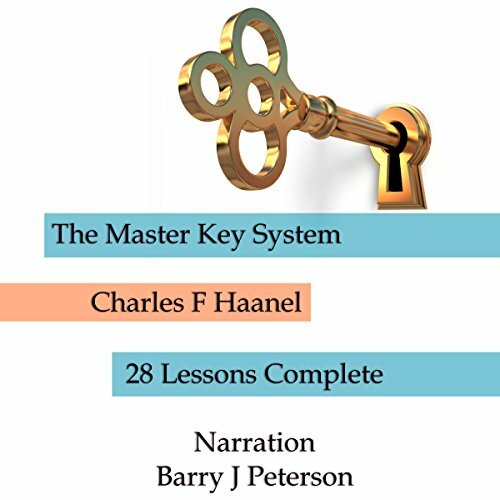 "The Master Key" explains and guides the process. "The Master Key" teaching has hitherto been published in the form of a correspondence course of 24 lessons, delivered to students one per week for 24 weeks.